If you're thinking of cutting the cord with cable and looking into streaming services, then you've come to the right place. Right now Sling TV, an online streaming service, is currently offering 40% off its base packages for the first three months of service. You'll be able to stream live TV from popular channels with packages that start as low as $15 a month. Sling TV is one of the most popular streaming services because it allows you to watch live TV from your favorite channels that you can customize from the Sling app. Sling also features DVR like services, on-demand programming, and movies that you can rent online. You can watch Sling TV on any device that can stream the app such as your laptop, tablet, phone or console. There's also no long-term contracts or hidden fees with Sling, and at a minimum, you can pay just $15 a month. If you're interested in programming that isn't included in your plan, you can customize your TV lineup with more sports, kids or news channels for only $5 a month. You can learn more about the streaming service with our own Sling TV review. 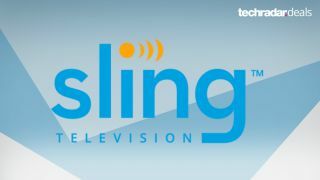 Sling's current promotion gives you a 40% discount for three months on Sling's three base packages. For the first three months, you can get the Orange and Blue package for just $15 a month (normally $25/month) or get the combined Orange and Blue package for $25 a month (normally $40/month). This is a limited-time offer, so you should take advantage of this excellent discount while you can. Below are more details on each plan, so you know exactly what you're getting with each package deal. If you're interested in other TV network deals we have the best Dish TV packages and deals that are currently available. We also have the best cheap US TV deals and sale prices that are going on.